This is a catch up on some new and interesting projects I've seen around the web and and added links to in Build It Solar. I was very impressed with George's first generation parabolic solar array, and thought that the plans and documentation were very good. His new generation 2 document and plan set are even more complete, detailed, and wide ranging. George goes over a number of design improvements, lessons learned, and provides much additional reference material for those interested in concentrating solar applications. This is one of the very few cases where I think you get your moneys worth paying for project plans. This is a very detailed and free set of plans for a simple thermosyphon collector for warm climates (where no freeze protection is needed). 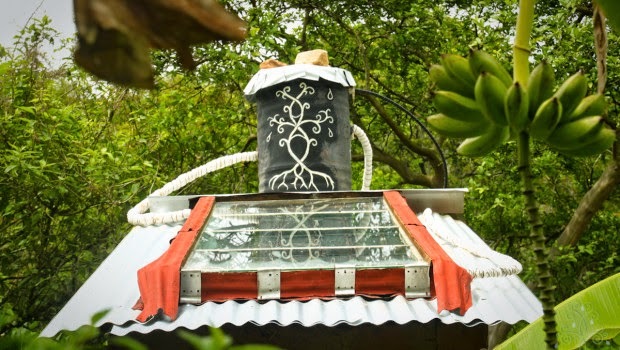 This is a simple system in which the collector is located below the solar hot water storage tank and thermosyphon flow from collector to tank does all the heating -- no pumps or controllers needed. The hot water gravity feeds to showers or other places it is needed. Fresh water is added to the tank via a float valve. I understand that the decoration on the tank increases the performance by 13%. 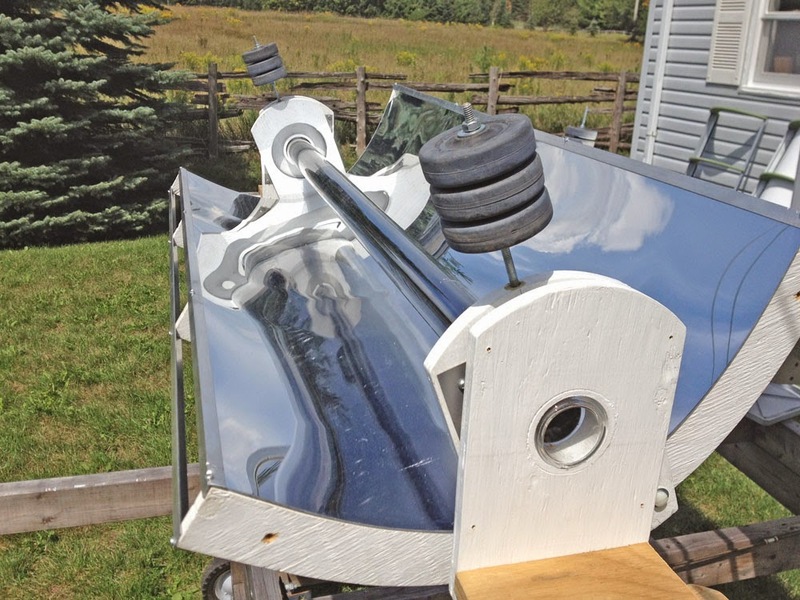 Water heating solar collectors require fins to transfer solar heat into the collector tubes. 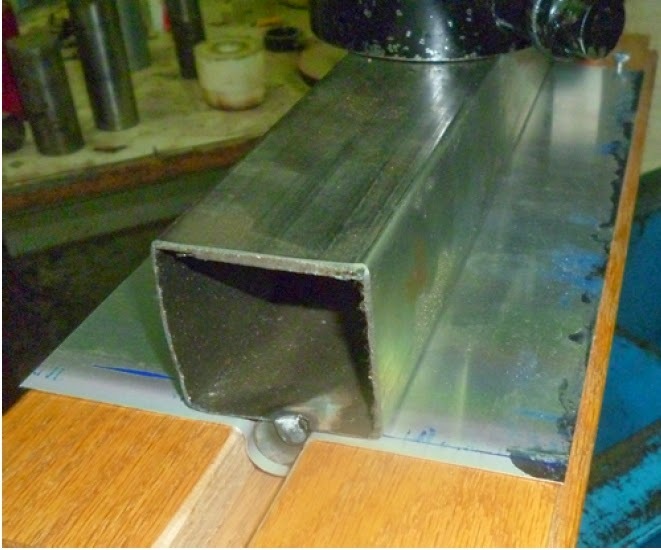 Most DIY collector builders use aluminum fins and many ways have been worked out to make them. Soren has worked out a way to make solar collector fins from recycled printers plates. He shows in detail how these free or nearly frees printers plates can be made into effective collector fins. Thanks to Soren for sending this in! There is a lot of interest in extracting heat from large compost piles, but there is not a lot of detailed information online describing how to build a practical pile and extract heat from it. 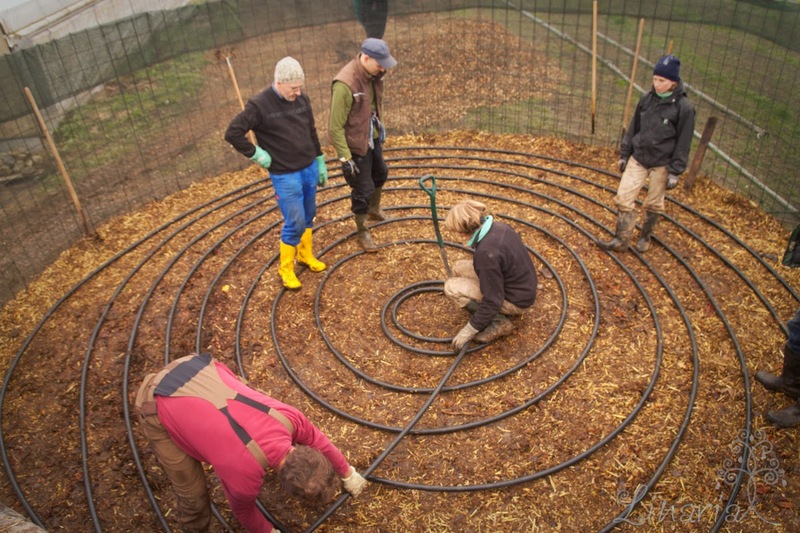 This project describes in quite a bit of detail the building of a large compost pile with embedded tubes for heating water. The large ground wood compost pile in the making. Embedded tube spirals heat water. This large compost pile is said to provide temperatures up to 160F and last more than a year. All the details here.... This is in German, but Google translator and lots of pictures help.